Should Philadelphia chain restaurants have warning labels for menu items with high sodium? How carefully do you read a menu? Do you check to see what exactly you're putting into your body? Do you know if the sandwich or salad you're ordering contains more of one nutrient than you're supposed to consume in a single day? Philadelphia City Councilwoman Blondell Reynolds Brown wants at least some eateries to let you know when it comes to sodium. She introduced legislation Thursday that would require chain restaurants to put warning labels on menus for items or combination meals containing more than the daily recommended intake from the U.S. Food & Drug Administration. Reynolds Brown cited statistics showing alarmingly high rates of hypertension and heart disease in Philadelphia, particularly among African Americans. According to the FDA, consuming too much salt can lead to heart disease, stroke, heart failure and kidney disease. While 2,300 mg is the recommended daily intake for most, it's 1,500 mg for at-risk populations, such as those already suffering from hypertension, African Americans, and middle-aged and older adults. Philadelphia wouldn't be the first city to require such warnings. New York City passed similar legislation two years ago. 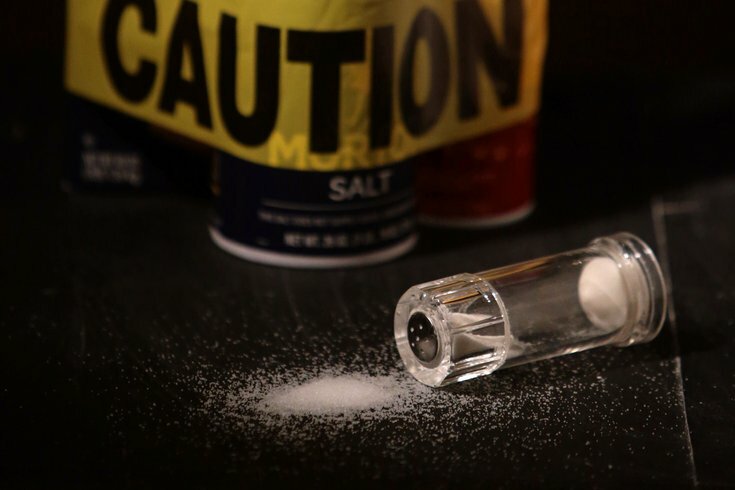 Sonia Angell, New York's deputy health commissioner, said at the time that most consumers don't necessarily understand the link between how much salt they eat and subsequent health consequences. "The majority of salt in our diet doesn't come from the salt shaker — it's already in the food when we purchase it," Angell said, according to NPR. "And that makes restaurants a really important place to give people guidance about how they might be making decisions — if they choose to do so — that might protect their health and their heart." Reynolds Brown's bill has Mayor Jim Kenney's blessing, but will likely face opposition from restaurant groups like the New York legislation did. Whether that opposition comes in the flavor of soda tax-esque rallies, we'll have to wait and see.